Throughout her long career, Beth Lindstrom has been helping to elect Republicans — not the easiest of tasks here in Massachusetts. This year, for the first time, she has entered the political fray herself as a candidate to take on incumbent Senator Elizabeth Warren. Massachusetts Republicans would be fortunate to have her in that role, and the Globe endorses her in the party’s Sept. 4 primary. As with any Republican primary contest this year, the elephant in the room is the man in the White House. The Party of Lincoln has become the Party of Trump, and woe to him or her who chooses to ignore the 1 million votes cast here for Donald Trump in 2016. For another Senate primary contender, state Representative Geoff Diehl, that’s no problem. He co-chaired Trump’s state campaign in Massachusetts, and even in the wake of the Michael Cohen and Paul Manafort scandals, Diehl remains loyal — and not in a good way. Just two years ago, former corporate lawyer John Kingston put $1 million of his own money behind an effort to find a third-party candidate to run against Trump, but now he embraces the Trump doctrine. His multimillion-dollar investment in his own candidacy is no substitute for core values, and his clever but information-free, anti-Warren TV ad is no substitute for actually debating his opponents. Buoyed by President Trump, conservative activists are funneling their newfound energy into this year’s three-way primary, which will yield the party’s challenger to Senator Elizabeth Warren. And seriously, what is it about Lindstrom that these two men can’t abide facing off against her in a host of debates they have turned down? 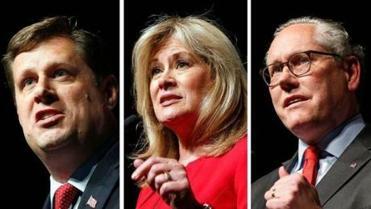 If they can’t take on Lindstrom, what makes them think they’d be ready to debate Warren? Lindstrom, a former executive director of the Massachusetts Republican Party, former director of the State Lottery, director of consumer affairs and business regulation during the Romney administration, and manager of the successful 2010 Scott Brown Senate campaign, knows this state and its voters better than either of her opponents possibly could. She also has staked out a reasonable position on Trumpian politics that would serve her well in a general election. “I’ll be with him when it’s right for the people of Massachusetts, and I’ll disagree with him when I don’t think it is,” she told Globe editorial writers this week. She supports strong borders but also immigration reform, including a path to citizenship for so-called Dreamers. She’s a fiscal conservative and a supporter of women’s rights. 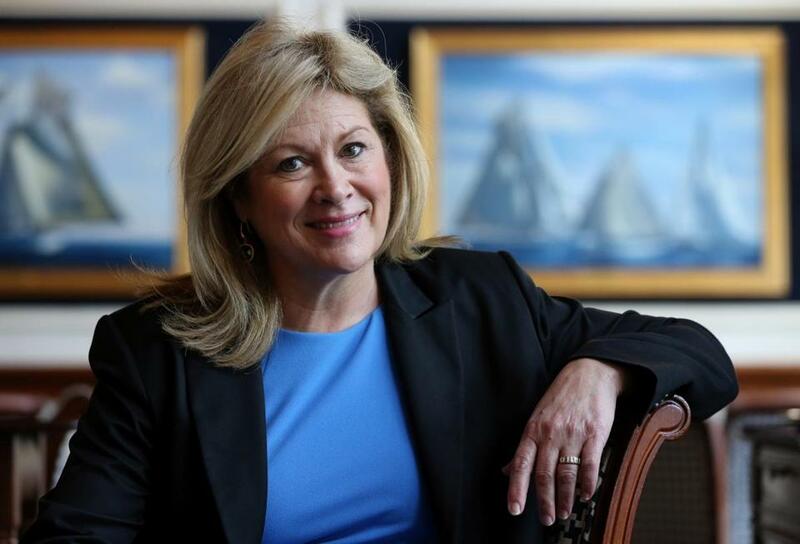 In short, she’s the quintessential Massachusetts Republican. There is, of course, no ignoring the fact that putting a Republican woman up against Warren would take a host of non-issues off the table and make the November race truly about issues. Now wouldn’t that be a refreshing change of pace.